Legendary documentary filmmaker Perry Miller Adato passed away on September 16, 2018, three months shy of her 98th birthday. I’m heartbroken. I will miss her phone calls and gracious invitations to her film soirées in New York City or lunch at her home in Westport, Connecticut. I will miss writing notes in her holiday cards each year and her sound professional and motherly advice (she was one year younger than my mom, also born in December). And most especially, I will miss her unwavering support of my work that began 40 years ago when we connected during my 15-year stint at the Educational Film Library Association (EFLA), where I became Editor-in-Chief of Sightlines magazine, a staff member of EFLA’s American Film Festival, and spread my wings as a young journalist covering the independent documentary film scene. There’s a special place in heaven for female trailblazers who encourage talent when they see it and mentor other women in their field. Perry Miller Adato played that role for me (and I’m sure for many others), and impacted me even before I was privileged to meet her, interview her, review her films and become her friend. For a time, I lost track of Perry when I turned my full-time attention away from films and filmmakers and onto books and authors during my tenure as a Corporate Communications professional at Simon & Schuster. 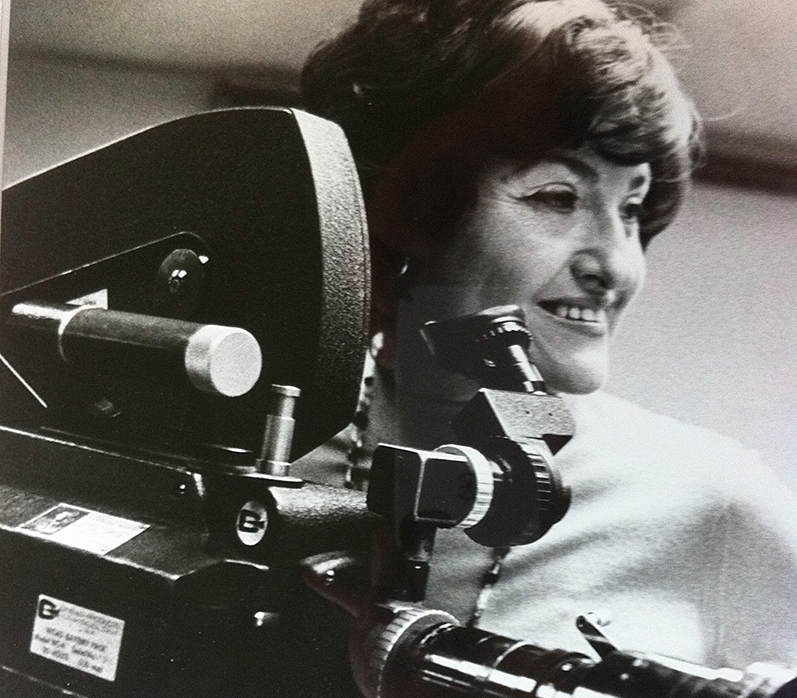 Director Perry Miller Adato was the first woman to receive the Director’s Guild of America Award for directorial achievement in documentary for her film, GEORGIA O’KEEFFE (1977). Photo: Getty. But Perry Miller Adato and I were destined to meet again. I bumped into her in the theater one night when we were seated in the same row, believe it or not. We resumed our professional ties when she graciously agreed to be a presenter (twice) at the annual Christopher Awards gala that I produced and directed for many years in Rockefeller Center. Perry was thrilled to participate as we honored a new generation of Christopher Award winners. 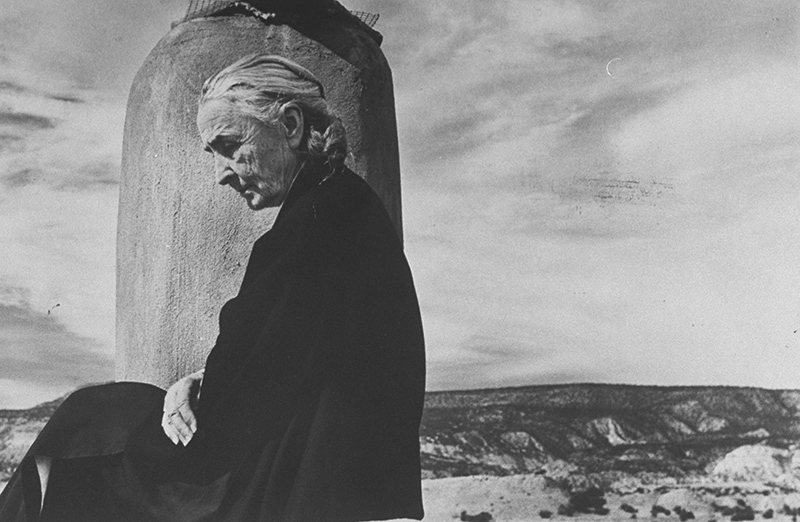 She was a Christopher Award winner in her own right for Georgia O’Keeffe (1977), a film that also garnered her a groundbreaking Director’s Guild of America Award for directorial achievement in documentary, the first ever awarded to a woman and the first of four DGA Awards that would come her way. I was honored, but frankly shaken when she asked that I write her formal obituary. I sidestepped that request when I realized that not only was I too close to my subject for that assignment, but that I had, in fact, already written an article that could stand as my final tribute to Perry Miller Adato. I originally wrote that piece for Perry in professional support of what would become her last film project. I eventually fine-tuned and published it in 2013 here in FrontRowCenter. 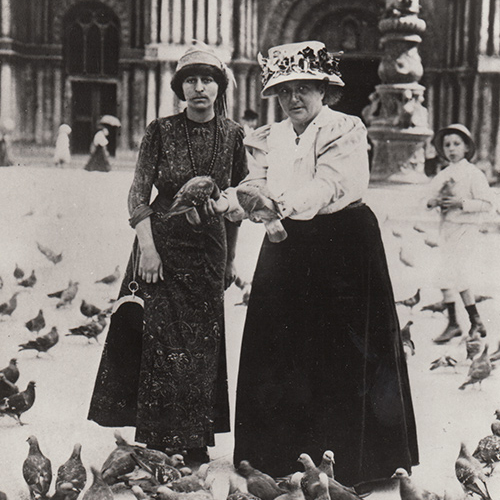 Alice B. Toklas and Gertrude Stein and their fascinating community of expatriates seize the spotlight in Perry Miller Adato’s Award-winning documentary, GERTRUDE STEIN: WHEN THIS YOU SEE, REMEMBER ME (1970). Back in the day when I was a young graduate film student at New York University, I by chance caught Gertrude Stein: When This You See, Remember Me (1970) on WNET/Channel 13. To say that the film changed my life is an understatement. More than anything I had yet to learn at NYU, Gertrude Stein instantaneously toppled my perception of what a documentary film could, should and would be going forward into the final decades of the 20th century. It had nothing in common with the tired, formulaic “educational films” that I was raised on—those snooze-inducing films that held audiences captive in schools and libraries and on public TV. For me as a budding film and art historian and journalist and for a whole generation of my peers—the young social issue filmmakers about to jump-start their careers—that film opened a door to a whole new way of presenting and preserving artistic vision and visionaries. Through the skillful weaving together of rare interviews, archival clips, photographs and letters—the fruits of dogged research—with exquisite renderings of artwork and text, the filmmaker, Perry Miller Adato, succeeded in bringing to life, in riveting fashion, a community of artists and writers who many of us could only hope to “meet” on the printed page, on museum walls or in concert halls. Perry Miller Adato on-set filming PARIS THE LUMINOUS YEARS. Adato went on to produce and direct many award-winning films on individual artists throughout the years and, in the process, influenced the evolution of such young filmmakers as Ken Burns and a host of women filmmakers who gained courage by following her lead. Adato’s life’s work came full circle with her most brilliant, beautifully conceived and thoughtfully researched film of all, Paris The Luminous Years: Toward the Making of the Modern (2010). In the context of Perry Miller Adato’s previous work, this film makes perfect sense. It seamlessly pulls together all the distinctive elements in her toolbox into a film that is nothing short of a masterpiece One not only gains an overall sense of the historical period within which her subjects, the trailblazing European and American expatriates, lived and worked. But we are also privy to their position in the artistic subculture and hierarchy of the time, as well as the cultural and social influences on their work and the groundbreaking artistic, literary and musical movements that germinated in this very special place and time. 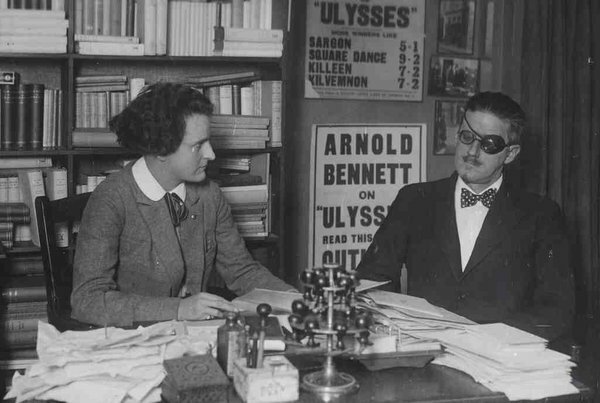 Literary giants Sylvia Beach and James Joyce ponder the fate of Joyce’s controversial oeuvre in Beach’s iconic Paris bookstore, Shakespeare and Company, circa 1922. From PARIS THE LUMINOUS YEARS (PBS/Princeton University Library). In short, Paris The Luminous Years not only stands as an epic achievement in documentary filmmaking, but also serves as an evergreen educational resource that should be mandatory viewing for all serious students of the history of 20th century art, literature, music and dance. There are no false or irrelevant moments in the film. Especially invaluable are the crisp, spot-on shots of the artwork, one of Adato’s specialties, as well as her liberal use of fascinating and undoubtedly rare archival film footage, particularly the glorious period film clips of Parisian street life and café society and the content-rich clips of noted artists, writers and musicians who share personal anecdotes. Adato’s intelligent script manages to integrate, in novelistic fashion, a massive amount of research without seeming pedantic or compromising the integrity of the material. Paris may represent the Shangri-La of romance and fantasy for many viewers today (e.g., Woody Allen’s wistful romantic comedy, Midnight in Paris), but the City of Light best be remembered for the more important role it played in the lives of artistic visionaries (circa 1900-30) who needed Paris to create a body of work that ultimately reshaped the landscape of the arts forever. This entry was posted in Art, Books, Film, Music, Theater, TV and tagged Art and Artists, Authors, Documentary Filmmakers, Georgia O'Keeffe, Gertrude Stein When This You See Remember Me, Music and Musicians, Paris The Luminous Years, PBS, Perry Miller Adato, Women's Studies. Bookmark the permalink. Judith—Thank you so much for sending me your beautiful tribute to Perry. She was a truly grande dame of the documentary, and a remarkable personality. We were privileged to know her. Once in awhile someone will tell me that they lost a mentor and I say the appropriate; ” I am sorry for your loss”, not fully understanding who their mentor was, but knowing the person was important to my friend. Excellent tribute, Judy. Thank you. 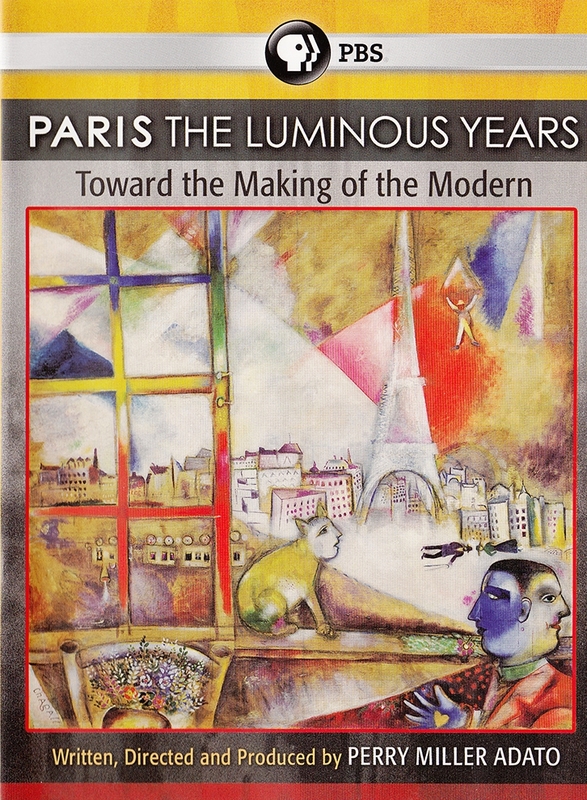 I don’t know how I let “Paris: The Luminous Years” sneak under my radar, but I’m going to seek it out.